President Abdulla Yameen Abdul Gayoom has joined in the official function held to celebrate the completion of the Coastal Protection Project in K. Maafushi. 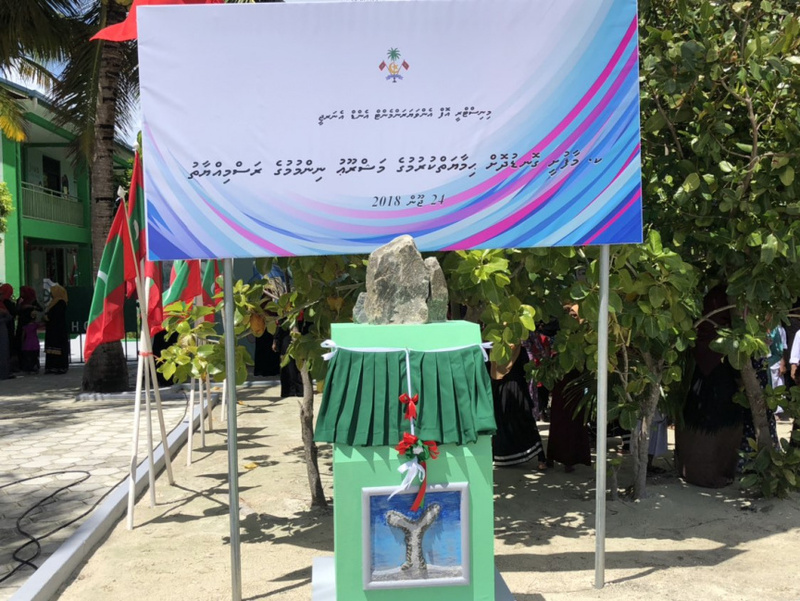 The official function held to celebrate the completion of the Coastal Protection Project was held this Sunday afternoon. Yameen, who is on a short tour of three islands in K. Atoll joined in on the celebrations. The Maafushi Coastal Protection Project was budgeted in the State Budget 2015. The project’s work began in November of that year, and was carried out by Maldives Transport and Contracting Company (MTCC). A seawall of 440 meters and 5,000 square meters of sand has been used in the over MVR 14 million project. The project was completed on September 15, 2016. MTCC says the project provides a complete solution to the problem of beach erosion which the island had been plagued with. Yameen embarked on his tour of K. Atoll this Sunday morning. He has already visited K. Thulusdhoo and K. Maafushi, and is scheduled to visit K. Guraidhoo next.